This role is open to remote full time people based in APAC region only. 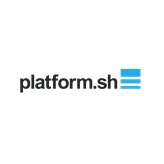 Platform.sh is a groundbreaking hosting and development tool for web applications. We’re a European VC-Backed startup with a host of blue-chip Enterprise clients and a string of awards and grants (including €2m from the EU Horizon 2020 program). For its PaaS solution https://platform.sh is looking for an Operations and Service Reliability Engineer with a taste for Python and Go, great Linux system understanding, and a real hunger for the challenges of building robust, distributed systems. Our external API is pure Hypermedia REST + oAuth on top of Pyramid. It mechanizes the Git layer and needs more features. We can consistently generate from the same manifest a Docker container, an LXC one, or VM disk images (AWS, Azure, OpenStack), we want more targets. We probably have the highest industry container density. We need to get it higher. We support any Python, Ruby, NodeJS or PHP, Java and .NET, time to roll-out Elixir, of course, Elixir (and Rust. We need Rust). cloud operations: configure clusters, deploy stuff, follow-up on alerts, help customer support debug issues. is proficient in Python (Golang a plus). knowledge of Magento Ecommerce, Symfony, Drupal, eZ Platform, or Typo3. Note: we don't like stress, so we build everything to be robust and resilient, but stuff does break. This is a role with on-call duties. If page-duty fills you with dread... well, this might not be a fit. Platform.sh serves thousands of customers worldwide including The Financial Times, Gap, Magento Commerce, Orange, Hachette, Ikea, Stanford University, Harvard University, The British Council, and Lufthansa. Want to get notified about new jobs at Platform.sh?